This workshop / open studio time allows participants to experience collaborative art making and reimagining peace. We seek to provide a supportive and safe space for participants to express themselves freely. 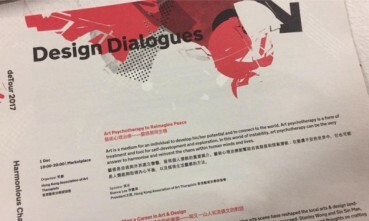 Each open art session will be followed by a short talk about topics of self care through the arts, particularly during the chaotic times one may be experiencing, as well as an overview about art psychotherapy. 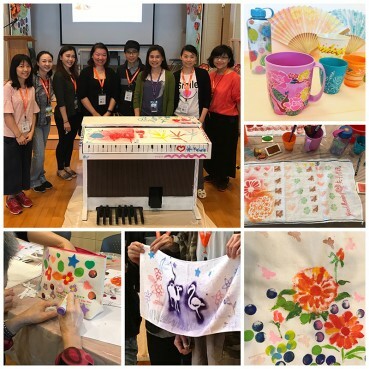 On May 13, 2017 during our community arts event, HKAAT EXCO & volunteers shared an excellent time making art on daily objects with rehab residents at The Providence Garden for Rehab. Thanks to everyone who participated in this meaningful event which promotes social inclusion through art expressions. 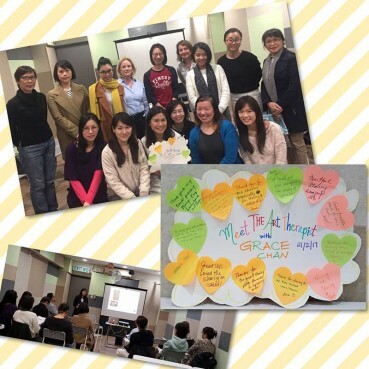 Grace Chan shared about her work as an art therapist in New York City's hospital and Hong Kong's rehabilitation service unit. She discussed the role of the arts and the creative art therapist in fostering mental health recovery among service users, with case examples and art experiential.